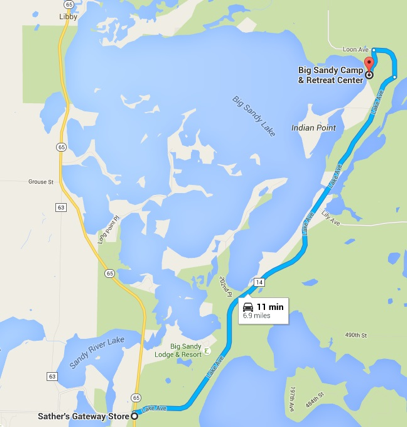 Big Sandy Camp is located on beautiful Big Sandy Lake just North of McGregor, Minnesota. 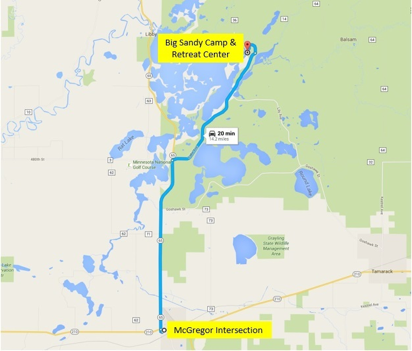 We are a camp of the North Central District of The Christian and Missionary Alliance. You do not have to be attending or a member of an Alliance Church to come to camp. We would love to have you join us for one of our many camp sessions. It is our desire to provide an environment where hearts are touched and lives are changed. Summer youth camps are a major part of the Big Sandy Camp Ministry. With nine camps for youth entering grades 2-12, we have a camp that is perfect for you. Each camper that participates in one of our camps will have the opportunity to utilize all our facilities. We strive to make this a fun, life-changing week for each and every camper that comes our way. When the school year hits, Big Sandy is still active! We have numerous weekend retreats that we program ourselves, including Father-Son Retreat, Empty Nesters Retreat, Marriage Retreat, and Avalanche Camps. Just because the summer is over doesn’t mean camp is over! We also love renting out our facilities for church groups who need to get out of their normal environment and be in God’s creation. We have a number of groups who come in throughout the year for various retreats, such as women’s retreats, men’s retreats, youth events, crafting retreats, and more! Come see us at Big Sandy Camp. We’d love to have you here!